Of all the expenses that come with planning a wedding, gratuity for vendors is one of the most confusing. 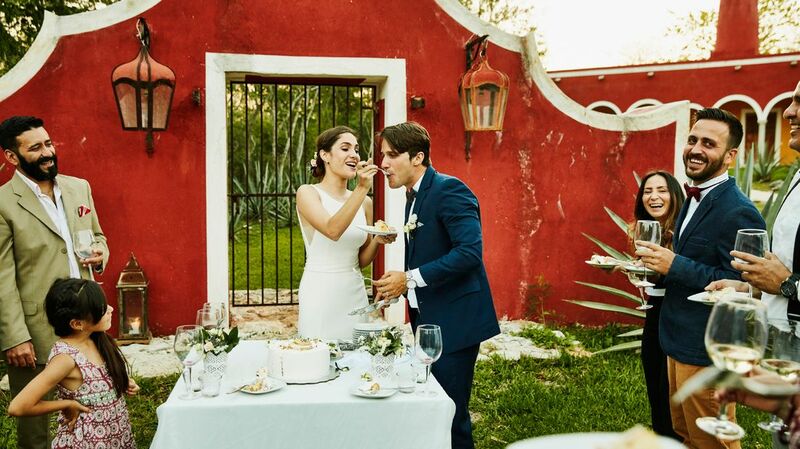 While many say tipping is at the newlyweds’ discretion, showing some extra love to the people who made your big day a reality — in the form of cold, hard cash — is usually expected. That said, knowing who needs to be tipped (plus how much — and when!) can be a challenge: Every vendor has their own contract and payment process, which may or may not already include gratuity. Here's how to figure out who needs a tip and how to make sure the money gets to the right people. Basically, everyone. Some vendors will include a gratuity or service charge in their contracts, but those who don't will likely be expecting a tip for their work. This goes for your planner, hair and makeup artists, bartenders, drivers — anyone who worked your wedding. When it comes to tipping, cash is king. Make sure you read through all contracts and invoices before setting aside gratuity. 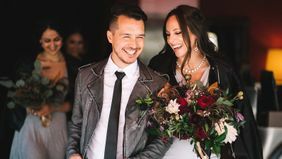 "Some vendors prefer pre-payment and it is typically included in your final bill," says wedding planner Elizabeth Ise of Chancey Charm Dallas. If you're unsure about the terms or wording on an invoice, chat with your planner or coordinator so you don't double tip (or mistakenly not tip at all). Cash is king. 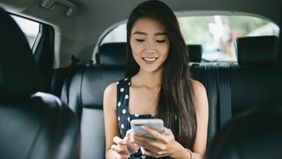 It also ensures gratuity gets divided among waiters, bartenders, drivers and other vendors when multiple people work as a team. For example, Ise says that if you make a check out to a catering company for the gratuity, the individual waiters may never see their share. You or your planner can be proactive and request the number of individuals who will be assisting with load-in or service to ensure that no one is left out, says planner Courtney Drake of Drake Social. However, there may also be some unofficial vendors you'll want to thank — people who made your wedding special but for whom a cash tip wouldn't be appropriate (or expected). For instance, maybe an event coordinator at your reception site assisted throughout the planning process. For someone like this, sending flowers or a handwritten note can be a nice gesture to show your appreciation. According to Drake, a good rule of thumb is to devote 5 to 10 percent of your overall wedding budget to gratuity. "Some vendors will be tipped based on the total invoice and others per person," she explains. "Setting aside an amount upfront will allow enough flexibility to distribute gratuity on the day-of without blowing the budget." While how much you tip is your call, she advises that beauty services (hair, makeup, nails) be tipped 15 to 20 percent of their total balance. Delivery and service staff (like floral and rentals staff members, catering staff and bartenders) should be tipped $10 to $20 per person. Tips should be distributed by your planner or a designated member of the family or bridal party during the wedding festivities or just after. "Everyone likes a pick-me-up during a hard day's work," Drake says. "I find that when gratuity is distributed during the service, people tend to go over and beyond in their responsibilities because you've spent a few extra dollars showing your appreciation." Put the cash in sealed envelopes addressed to each vendor to make the process seamless, then give them to the person handling tips the week before the wedding or at the rehearsal dinner. In some cases, you may end up tipping after the big day. "You may want to provide gratuity to a someone who went above and beyond at the wedding — like, saved the day from rain," Ize says. Of course, any vendors who didn't fulfill their obligations or made the planning process difficult may not deserve a tip. "If planning and preparation with a vendor has been a challenge and their attitude could use improvement, I would reconsider tipping," Drake says. What Is Wedding Insurance and Do You Need It?